These Instant Pot BBQ Chicken Wings are so good, you don’t even need a reason or occasion to make them! 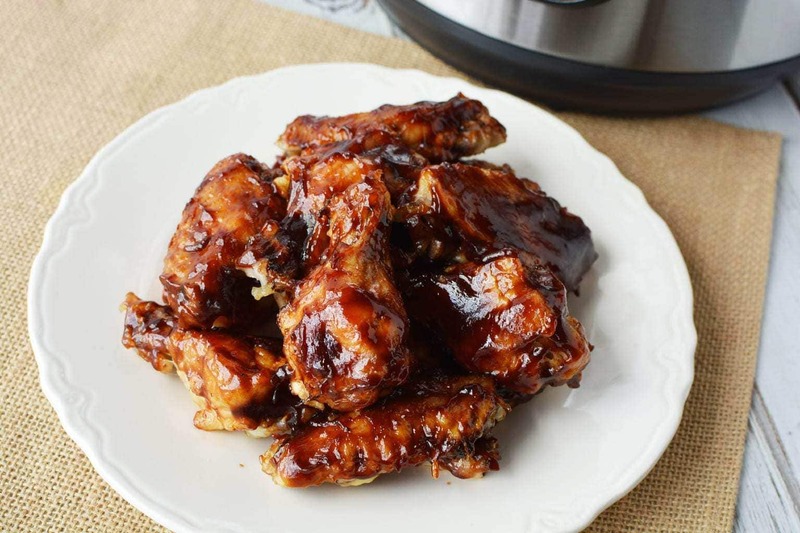 Let your Instant Pot do all the hard work with this simple wings recipe! Let me just start off by saying…I love good chicken wings. Not too spicy, not too sweet…a little bit of seasoning and a dipping sauce on the side that I can dip into or not is all I really need. This is part of the reason why I fell in love with these Instant Pot BBQ Chicken Wings. So many people tend to shy away from cooking chicken because it can be hard to get that internal temperature just right. But trust me…the Instant Pot knows how to handle chicken. Once these wings were added, I literally didn’t have to worry about a thing. 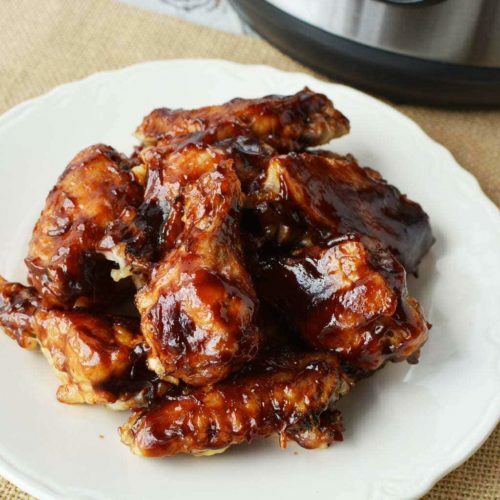 While these Instant Pot BBQ Chicken Wings are perfect for party food, tailgating and game days, they’re also an amazing meal to make for your family as well! Do you need to thaw out the chicken wings before adding them to the Instant Pot? Can I sauce the wings after removing them from the oven? I don’t know when I become a fan of chicken wings, honestly. All I know is that now, I have a huge soft spot for them and my taste buds agree. The great thing about cooking with chicken? It’s so versatile and takes on so many different flavors with ease. The verdict is out for many people on whether dry rubbed wings or sauced wings are better…To me, it’s all about your own personal preference! Can you believe that all this chicken wings recipe takes is just 3 ingredients? Craziness, right? No, you can add them when they are frozen. No need to spend time thawing them out when the Instant Pot will handle that for you. When you sauce them us entirely up to you. Just make certain that the chicken is cooked all the way and add your sauce whenever you want to after that. Some people like to sauce them before, and after! Personally, I like to sauce them before I put them in the oven. This recipe seriously can’t be any easier! 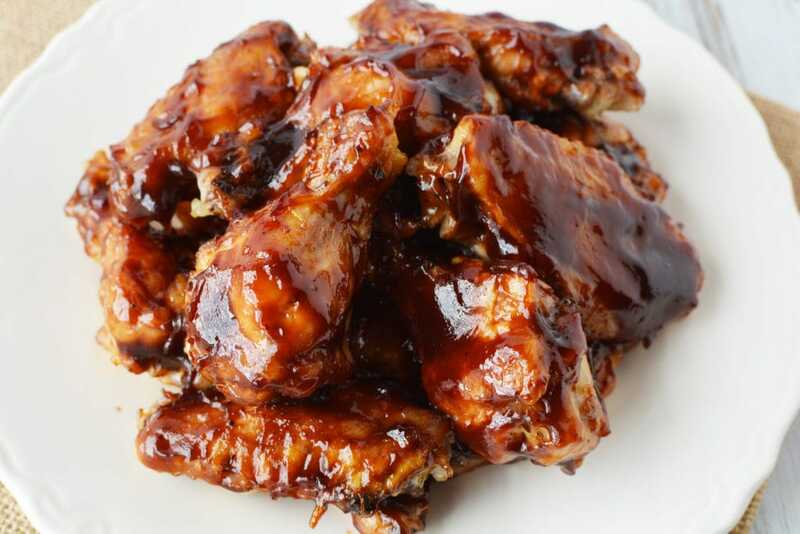 Try out this simple chicken wings recipe today and see for yourself! These Instant Pot BBQ Chicken Wings are so good, you don't even need a reason or special occasion to make them! Great party food appetizer. Place trivet and 1 cup water into the instant pot. Place chicken wings on top of the trivet. Place the lid on the instant pot and seal shut. Close the pressure release valve. When the cooking cycle is complete, let pressure naturally release for 10 minutes before opening pot. 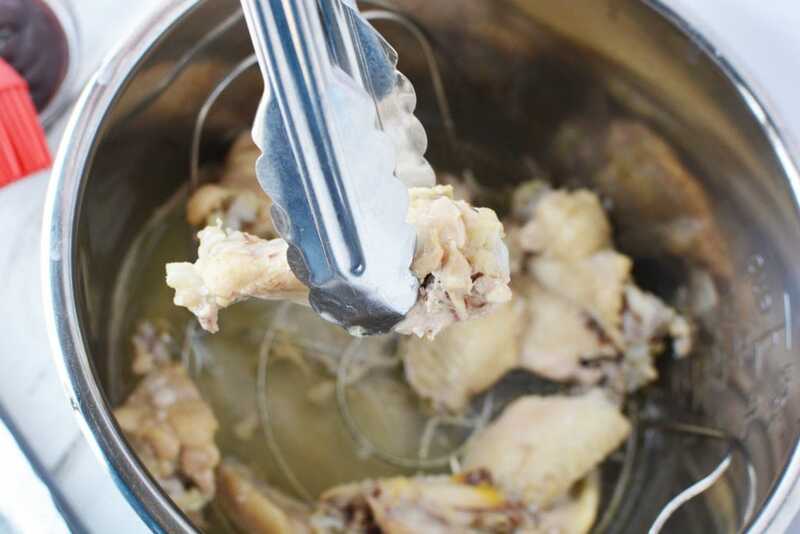 Use tongs to carefully remove chicken wings from instant pot and place on baking sheet. 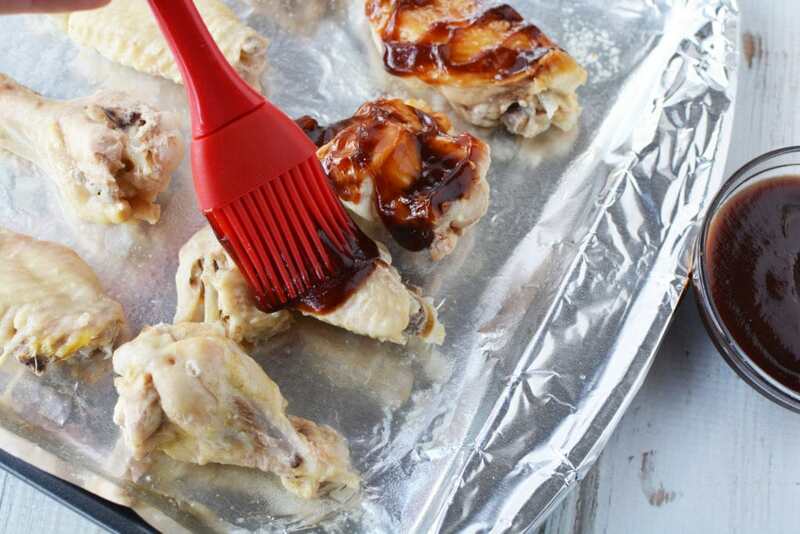 Use a pastry brush to spread sauce onto chicken wings. Bake for 5-10 minutes or until sauce is hot. Serve immediately.